This week there is no crochet, not one project on my hook right now (apart from the mermaid tail which I’ve not done any more to). Instead I have a sewing project, or rather 4! 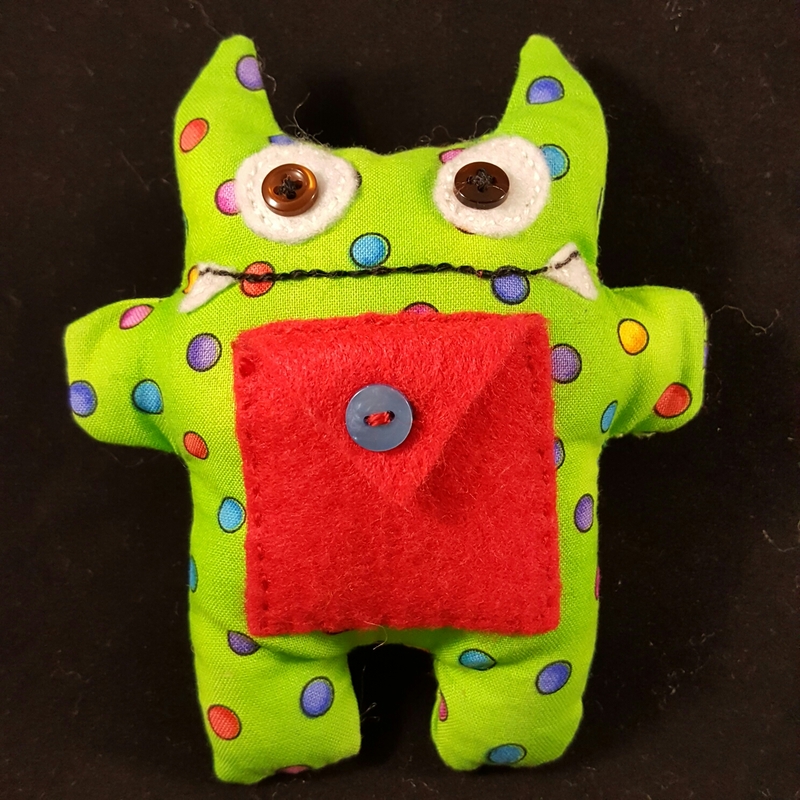 My boss came to see me and asked if I could make some worry monsters for our school to help children with certain emotional needs. She had an idea of what she wanted and I went home and researched, drew a pattern and made a prototype. It got the seal of approval and so I set up a mini production line to make another 3. So far the only complete one is the prototype. Another is ready to be stuffed and the other two need sewing. 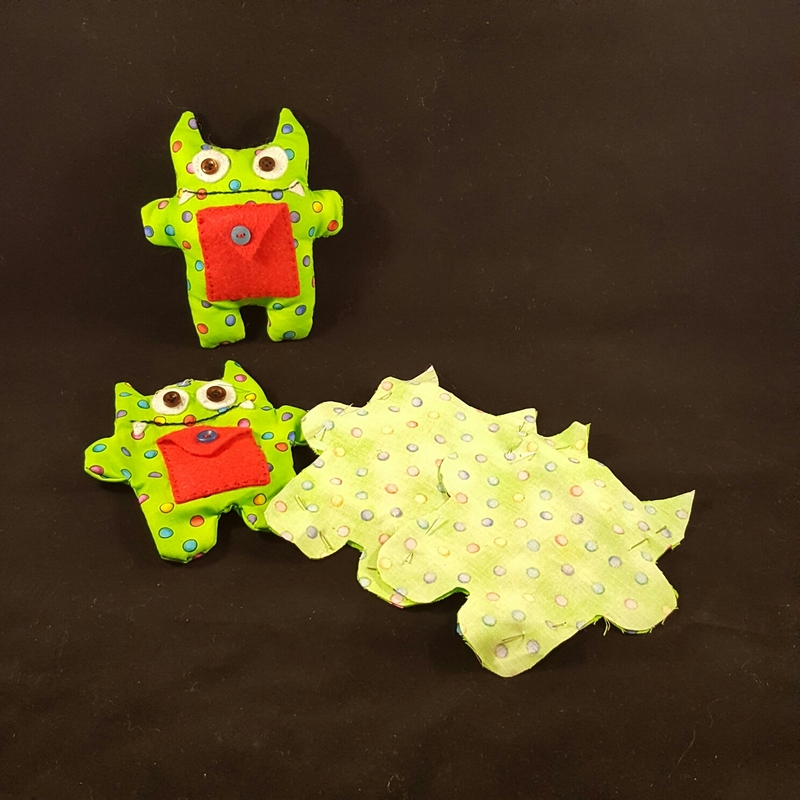 Each has a pocket on the front, and the child who owns the monster writes their worry on a slip of paper and buttons it into the pocket, therefore ‘giving’ the worry to the monster. I thought it was a sweet idea and was happy to help. My plan is to scan in the pattern and write a tutorial, along with a bit more detail about the monsters and their uses. I happen to think they are pretty smart, and will hopefully finish the others ready to hand over shortly. What are you working on? My next project is a baby blanket, which I’ll start as soon as the monsters have been completed. Ours has a zipped mouth and long ears, he’s very squidgy. These are adorable, and a little bit genius. Do they come in adult sizes?! I think they should come in adult sizes, I bet a few of us could use them! Yep. Multiple pockets might be required! I think this is a really good idea, MrsCraft, and the monsters look really friendly. I’m sure it will help. Thank you, it was a challenge to get the right kind of face! I love them! A great idea! It’s a bit of different idea but my knitting group make ‘pookies’ ( on Ravelry) which are small knitted toys that fit in a pocket of both children and also homeless people. The feedback we get is that they bring a lot of comfort to adults and children…and the children often tell their pookie things, they wouldn’t say directly to an adult. Thank you, I’m hoping they will provide comfort just like your little toys. Oh my God how adorable are these!! Love them! Thank you, I loved the idea a lot! Such a wonderful idea! I love the idea of giving your worries to the monster. Very clever! Whoever thought of it was a genius! All 4 are now done and on the windowsill in the office until they are needed. Lovely idea, beautifully executed. Good luck with the mermaid. Thank you, I’m not sure when I’m going to finish the mermaid tail, or whether I even like the matter I’ve used! Lots to consider! They are cute! What a neat idea! Thank you, I thought it was a good idea too. That’s a great idea and your monsters are adorable. I think we all need one of those! These are a great idea and something my two children would have benefitted from. I love the idea of ‘feeding’ your worries to a monster. Maybe you should work on a new line of adult ones with an extra big pocket! Good idea! Perhaps if I drew up the pattern it could just be enlarged depending on the degree of worry! I’d have liked one when I was little, in fact I would probably use it now. I’d like one that I could crawl into. Probably the easiest way to get my worries into it! You could crawl in the front pocket and snuggle, like a kangaroo pouch. These are lovely, think the design is super cute, and the monsters look like they can be approached and will keep worries safely. Have to admit I had not heard of these, but I love the theory, hope they work . Thank you, I’d heard of it but never done anything with it until my boss asked me. Wow they are awesome ideas. Think I will have to do a similar thing with my soon. He isn’t one to express himself or gets to angry to explain why he feels that way, but he is only 3. 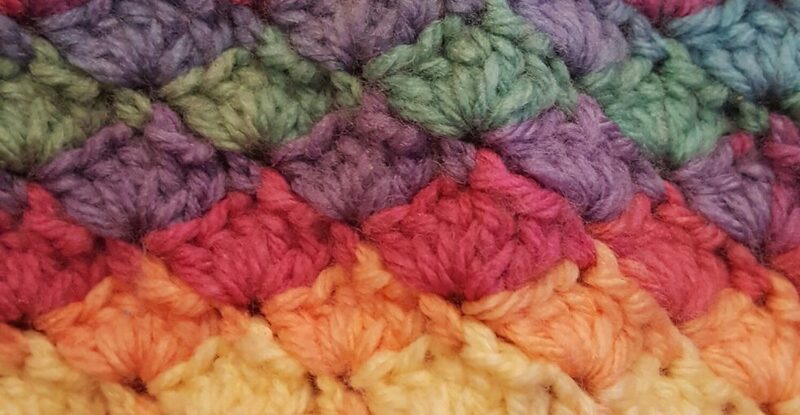 Im currently making a baby blanket too which I saw on website. Will be doing a blog when I finish but I don’t know how long that the blanket will take me. Good luck getting your blanket finished. I’m hoping to get the worry monster pattern drawn up and blogged soon. What a brilliant idea! As someone who is a worrier this appeals to me! I am sure the kids will love them! Aw, you could always make one. I think I need a life sized one!